Mary Chappell | The PHOENIX The first Raising Cane's chicken restaurant in Chicago opened near Loyola March 6. Southern-based chicken restaurant Raising Cane’s opened its first Chicago location on North Sheridan Road to the public early Tuesday. The restaurant sits across the street from Campion Residence Hall, and is fully decorated with Loyola memorabilia. The menu consists of chicken fingers, Texas toast and fries, with meal prices under $10. The grand opening included a ribbon cutting ceremony and giveaways, such as free Raising Cane’s for a year for 20 random customers and t-shirt and free box combo giveaways for the first 100 customers. 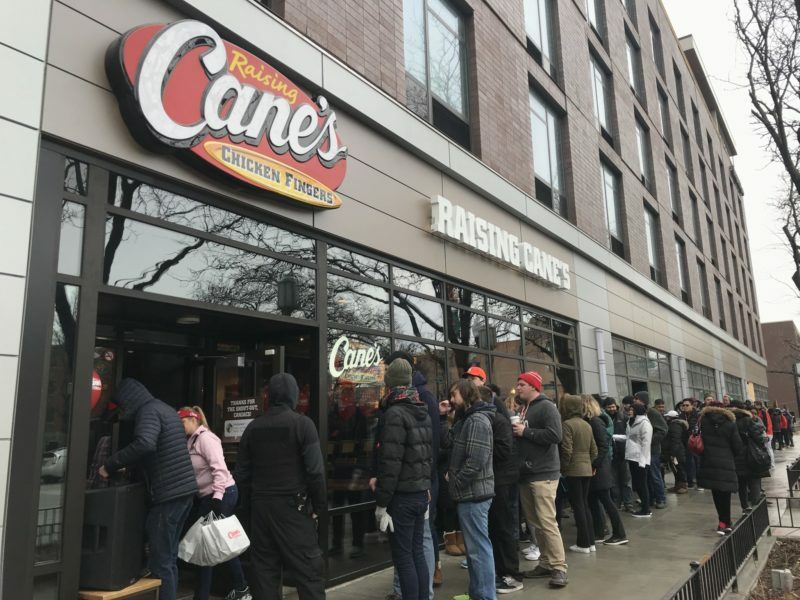 The line for entry at one point stretched from the Raising Cane’s entrance to Sheridan Road and Albion Ave with 137 people from all over the Chicagoland area. 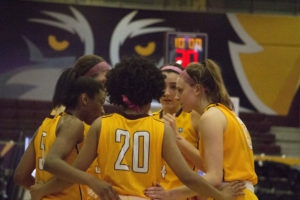 The Loyola spirit team and members of the pep band were in attendance for the event. Raising Cane’s has developed a partnership with the Loyola athletics program and is a sponsor sporting events. 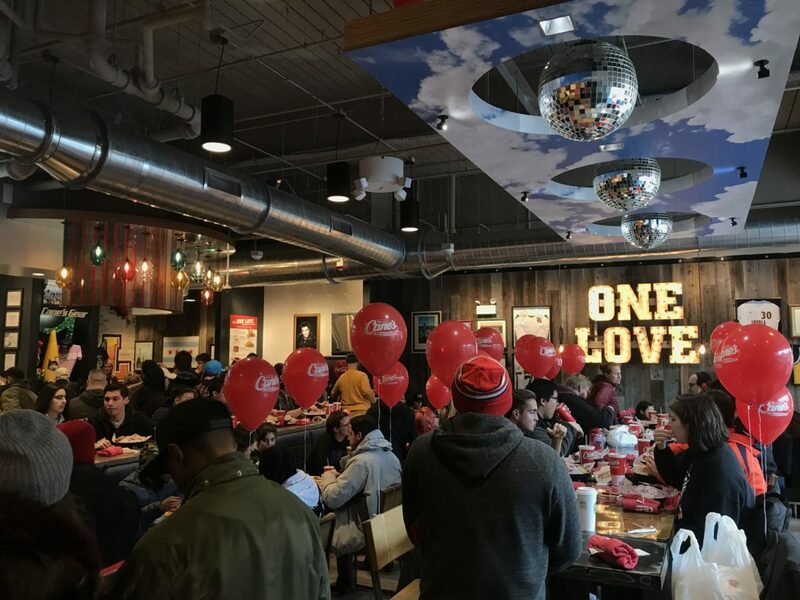 On March 5, Raising Cane’s had a training session for its workers and held a private event exclusively for Loyola students to try the food. This event raised about $2,000 for the athletics program. Additionally, Raising Cane’s has done other giveaways at basketball games. Patrick Schultz, the associate athletic director of corporate partnerships said that Raising Cane’s has put focus on the Loyola community and athletic program. Schultz said that Loyola helped spread the word for the grand opening, and the athletics department helped to get the Loyola memorabilia for the restaurant. The company has opened five other locations in the suburbs of Chicago, but the Sheridan Road location is the first in the city. People are happy to have a location that’ll serve the urban population. Esteban and his friend, Vincent Bellissimo, also a high school senior, skipped school to attend the grand opening for the Sheridan Road location. Olivia Fazzola, the area director for Raising Cane’s, said many Loyola students are familiar with Raising Cane’s because they’re from out of state. 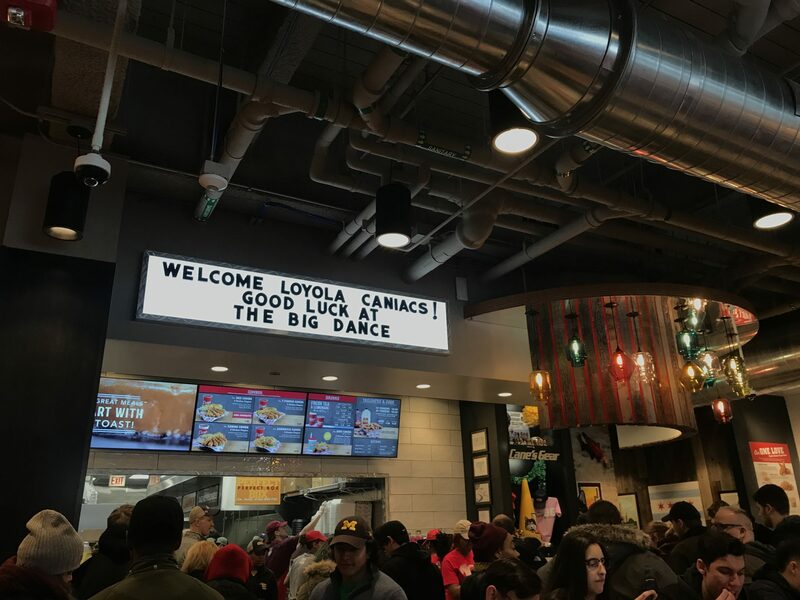 “The reception here on Loyola’s campus has been phenomenal, only because a lot of the students are out of state, and so they already know Cane’s, they have had Cane’s before,” Fazzola said. Dakota Vondrak, a senior at Loyola, said he was happy because Raising Cane’s brings more variety to the Rogers Park neighborhood. Briana DeBolt and her boyfriend Chamere Orr are both residents of Rogers Park, and are familiar with the chain and enthusiastic about the new location. The store will be open until 11 p.m. on weekdays and until 3:30 a.m. on weekends to cater to the Loyola student population. “We will have late night hours, so we are excited to put some fun music on and let people dance and have fun and eat some chicken while they are doing it,” Ball said. She said the company is proud to have the first Chicago location in Rogers Park. Good for the peoples who have no time to cook in home. This is time saving also and consumer are also happy to find more good quality in short time. The Q&A site qanda discuss for that the students do part time jobs in these place.